This is such a flavorful dinner! Not only is it flavorful, it’s so simple to prepare. Add the pork tenderloin to the base of the slow cooker. Add the thin onion slices on top. Pour the teriyaki sauce onto the pork tenderloin and onion slices. Add the minced garlic and crushed red pepper flakes over the top. Sprinkle salt and pepper to taste. Set on low and cook for 8 hours. Remove tenderloin from the slow cooker and let sit for 5 minutes before slicing. 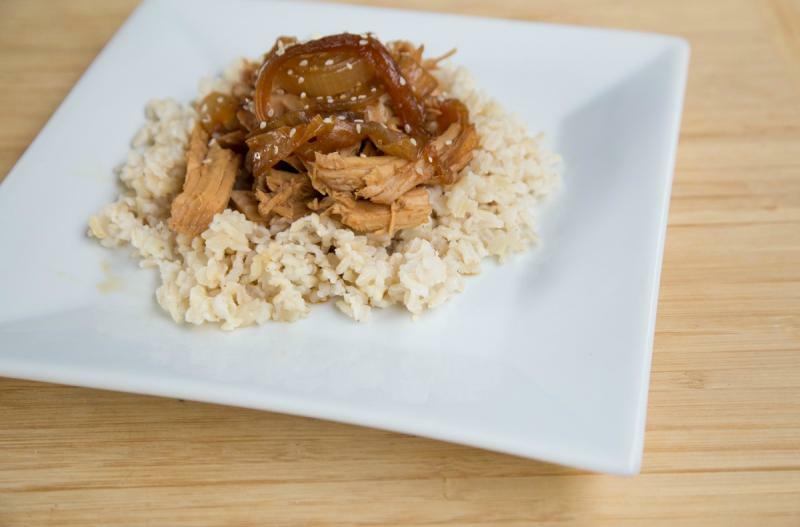 Spoon sauce out of slow cooker to serve over sliced pork pieces. 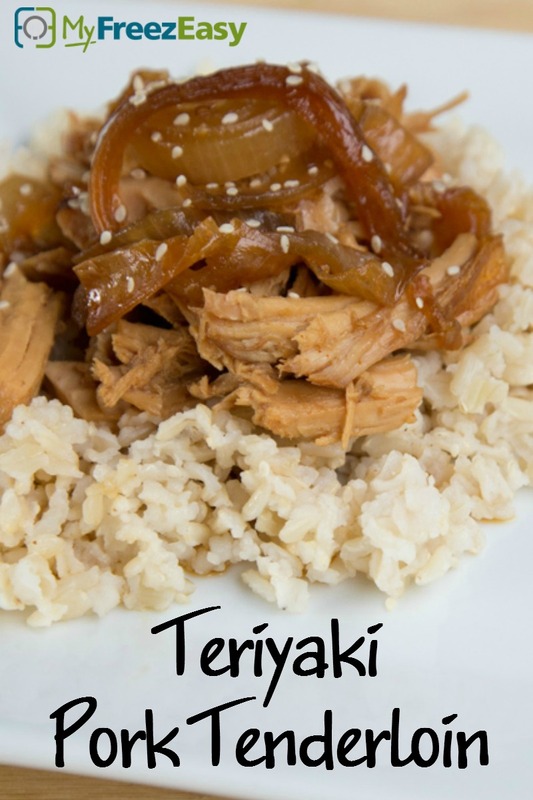 Serve Teriyaki Pork Tenderloin with sliced green onions garnish, rice and veggies. Check the teriyaki sauce for hidden gluten. Thaw and place in slow cooker. Cook on low for 8 hours. Let sit for 5 minutes, then slice and add sauce to each serving. Serve with green onion garnish, rice and veggies.